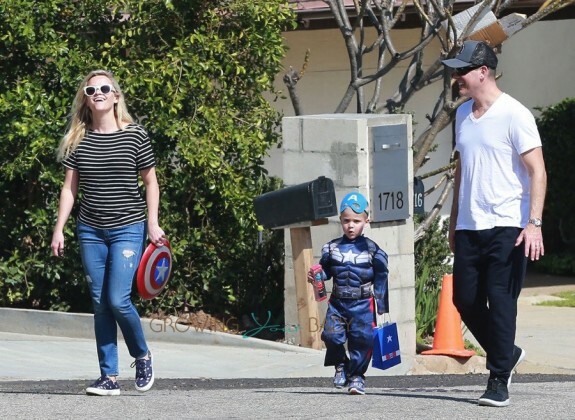 Reese Witherspoon and Jim Toth were all smiles while leaving Samuel Affleck’s superhero themed birthday party in Los Angeles with their son Tennessee on Saturday February 27, 2016. 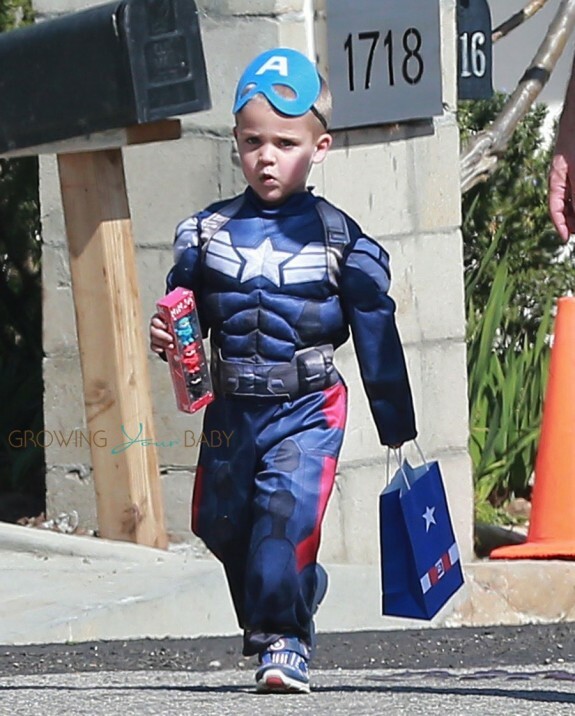 Tennessee was cute in his Captain America costume as he walked to the car with his parents. US Magazine reports that Ben Affleck and Jennifer Garner were both in attendance at the party, which celebrated Sam’s 4th birthday. Jennifer’s former Alias costar Victor Garber, and Kate Hudson’s kids were also in the crowd.